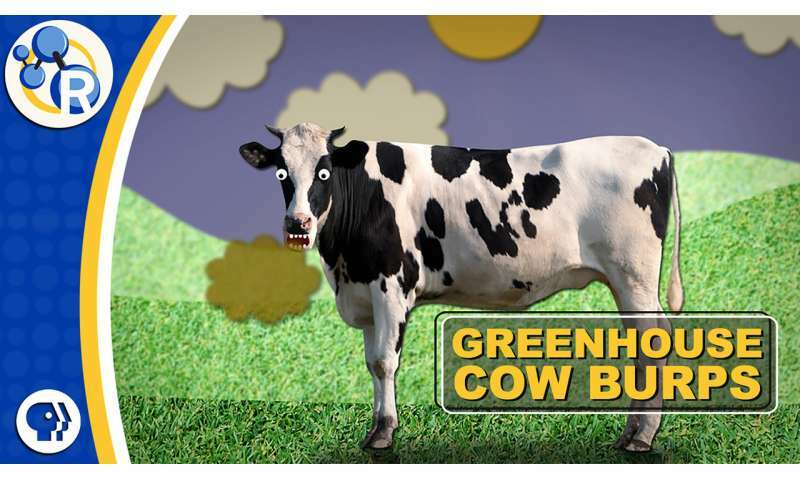 Cows burp up more gas than you might think possible when they're digesting grass. Most of that gas is methane, a potent greenhouse gas, which is bad news for the planet. Probing Question: Are cow burps contributing to global warming? Maybe chemists can find a catalyst that helps methane b e oxidized inside cows, or outside them. It could be sprayed into the air to reduce methane in the atmosphere.